Piracy as a Quality Assessment Tool..
Piracy is typically a very ‘negative’ word, abhorred by millions, yet embraced by millions more. Ironically, Piracy has become such a common thing today, that it can also be used as a strong quality assessment tool.. i.e Quality Assessment from the Bottom. Yesterday, there was a News Report on Twitter that mentioned that The God’s Biography too had become a victim of Online Piracy. If there is any Copyright content out there that charges users today and it hasn’t been pirated yet, then there was something seriously wrong with the content in the first place, and possibly should not have been created at all. ( I don’t say this in a derogatory tone, since I know the value and effort it takes to create any work. The tone is just being more practical.) #Piracy #HarshRealitiesofModernLife. 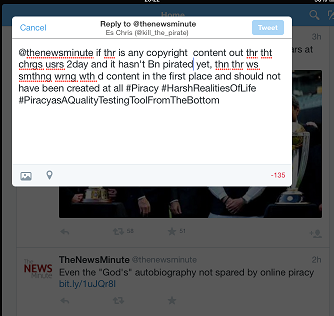 In this case, Piracy clearly becomes a Quality Testing tool when seen from the Bottom. P.S: And since Not many people seem to be buying my versions of Satire or Parody, lest alone even give me a response ( barring one human soul. Thank you very much for responding via Email), or maybe, i seriously lack the skills to promote my work, or it was worth trashable ( I would have been happy if I had atleast got a few Trolls 😦 ) I may as well start classifiying what ever stuff i write, with a prefix of “Lame” in it. I don’t write this as a rant, it is just yet another understanding of my own life, my own limitations and my attempts to work around these limitations. Thank you for teaching me this hard fact, of life, everyone. But as with the famous saying goes – “Un Kadamaiyai Sei, Palanai Ethir Paarkathey”, so shall I continue to do what i feel needs to be done. 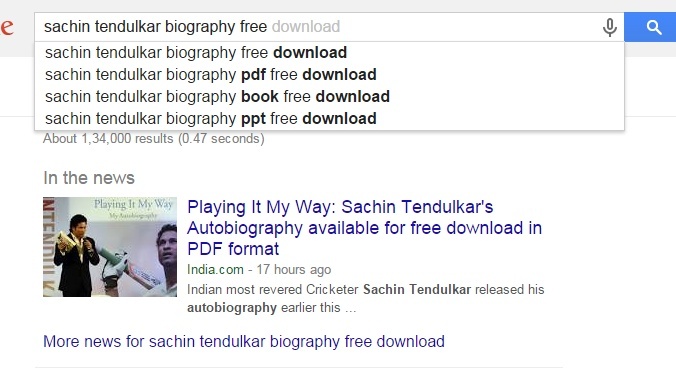 This entry was posted in Alternative Functions Of Piracy and tagged Alternative Functions Of Piracy, Book Piracy, Harsh Realities of Life, Lame Parody, Lame Satire, Sachin Tendulkar on November 19, 2014 by Sugeeth Krishnamoorthy.